Find out how a Bigger Pockets member was able to reinvest even his tax dollars when an unsolicited offer created an unexpected windfall. Click here to read the full article. Maximize your real estate investing with your own tax dollars using a 1031 exchange. With this process, you can defer capital gains tax on investment real estate when you reinvest in real estate. It lets you reposition, reallocate or increase your holdings using your own capital gains tax. Originally, a 1031 exchange was designed to facilitate the movement of large tracts of agricultural land. Essential food growers who were land rich and cash poor benefited. The 1031 exchange allowed them to strategically reallocate their holdings to maximize yields. Since then, the application of section 1031 was expanded to all real estate held for productive use. This includes real estate held for business, trade or investment purposes. This means it is now available to any such real estate investor wishing to defer paying tax on profits while continuing to invest. A 1031, or like-kind exchange, gives you the freedom to reinvest all of your money – including your capital gains tax – for your own benefit. This is a powerful tool for any real estate investor looking to accelerate their portfolio growth. When Does A Property Qualify For a 1031 Exchange? If you’re considering a 1031 exchange it’s important to know if your investment real estate is eligible. A 1031 exchange gives investors a way to defer paying tax on gain from the sale of investment real estate. This means that primary residences do not qualify for a 1031 exchange. A 1031 exchange is solely for real estate held for productive use in business, trade or for investment. House flipping is also off limits. Section 1031 states that a property “held primarily for resale” does not qualify. This excludes fix and flips. The good news is that like-kind, as defined by the IRS statute, allows for any type of investment real estate to be exchanged for any other kind of investment real estate. This means that if you’re selling a rental condo and want to use the proceeds of that sale to purchase a retail building, you are free to do so. The power of a 1031 to shape your real estate investment portfolio using your own tax dollars is limited only by your creativity and desired outcome. http://www.the1031investor.com/wp-content/uploads/2018/08/canstockphoto5994335.jpg 2350 3184 Dave Foster http://www.the1031investor.com/wp-content/uploads/2018/08/the1031investorLogo135x80.png Dave Foster2019-01-31 13:23:112019-02-28 11:12:37When Does A Property Qualify For a 1031 Exchange? Can You Take Money Out Of A 1031 Exchange? If you’re willing to incur some tax, you may purchase less than your net sale under IRS Section 1031. And, you may take cash out without jeopardizing the entirety of your 1031 exchange. However, if you want to purchase less than what you sold or take some cash out, then the IRS will call that “booty” and tax it as profit. The IRS is willing to leave its tax in the game, but they are expecting you to leave your profit in the game as well. So, there’s no taking your “booty” and buying an island without paying at least some tax. The IRS considers this taxable because their interpretation is that the first dollar you take out is going to be a dollar of profit. 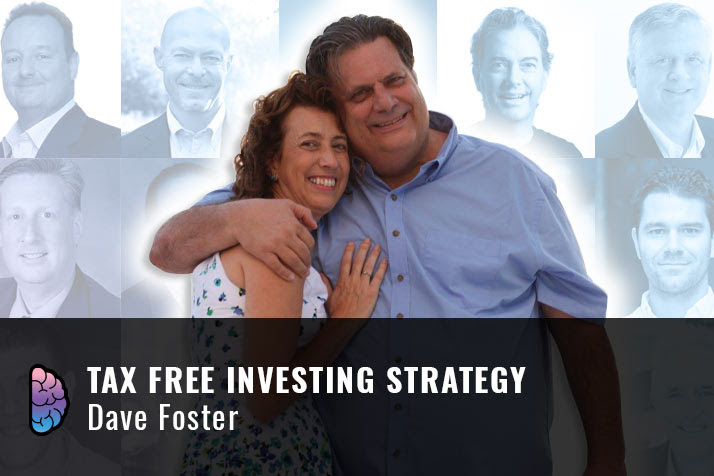 http://www.the1031investor.com/wp-content/uploads/2018/10/20181025-canstock.jpg 3000 2721 Dave Foster http://www.the1031investor.com/wp-content/uploads/2018/08/the1031investorLogo135x80.png Dave Foster2019-01-15 14:09:422019-02-28 11:17:45Can You Take Money Out Of A 1031 Exchange? Visit Can Investors Save the World for additional information and listening options. You can also listen on iTunes, Stitcher, PlayerFM, Spotify, Google Play and TuneIn. We all would like to have our cake and eat it too. For a real estate investor that might look like having a rental property and a primary residence all in one. Many folks would love to take advantage of the tax deferral for investment properties found in 1031 exchanges and then use the property as their primary residence. And the idea of living in the property but still treating it as an investment by “renting to myself” comes up frequently. Renting to yourself. is a tricky business that can land you in hot water very quickly. If you simply move in and start paying yourself rent after a 1031 it’s very clear that your intent in purchasing that property was not to buy an investment property but to purchase your primary residence – 1031 disallowed. You could set up an LLC to rent to yourself, but if that LLC is a disregarded entity (meaning that it doesn’t file its own tax return) the IRS will ignore the entity and say that you are the taxpayer for 1031 purposes. So, you would again be renting from yourself. And the whole intent issue once again rears its head. If the LLC is a regarded entity with its own tax return and you are more than half member, then you are a related party to the LLC. You might be able to rent to yourself, but you better make it an arm’s length true rental. Collect the rent, declare the rent, etc. Another issue, however, is that If you do that, then you are generating taxable income for the LLC from yourself. So you’re paying tax for the privilege of paying yourself rent. And at that point, you should be asking yourself “why?” Why not simply hold the property with an outside renter for a year or two and then convert you’re your primary residence by moving in. There is no statutory requirement that you keep the property as investment forever. And there’s actually specific IRS code allowing you to convert a property into your primary residence AFTER demonstrating your intent to hold for investment purposes. By that time, you would have satisfied your 1031 intent requirements and are simply changing the use. No rent needed at that time. Check out Dave’s recent article on the cost of 1031 Exchanges on the Bigger Pockets Blog here. Real estate investment bloggers and founders of investor networking site Bigger Pockets, Joshua Dorkin and Brandon Turney, created an acronym to describe a powerful business model for the long-term holding investor. It’s called the “BRRRR” Strategy (as in, I’m shivering cold). BRRRR is all about buying real estate investments with the long-term goal of holding, fixing the property up, and getting a renter in it. When the property appreciates, you can access the additional dollars of equity to then go buy a new real estate property. 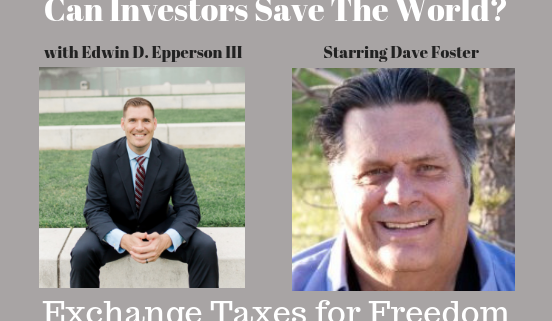 When you use this strategy, you leverage yourself toward becoming a very serious real estate investor very quickly while using the 1031 exchange to defer capital gains tax. You can adapt that model very easily into a buy, rehab, rent, refinance, repeat, and then another r for “relax” for a period of time. This allows you to demonstrate your intent to hold that property. You could also add “reevaluate” to decide whether it’s time to sell the original property. This valuable strategy will help keep you on track with the 1031 exchange and help you keep in mind what you have to do in order to use this program lawfully. What’s most important is that you begin the process with your accountants and other team members knowing that this is a property that you will be holding, not one that you are “flipping” and reselling. Once you’ve established your intent with the property, you can use the 1031 exchange to eliminate due taxes and transfer them to your next investment. http://www.the1031investor.com/wp-content/uploads/2018/10/20181025-BRRRR-canstock.jpg 2145 3000 Dave Foster http://www.the1031investor.com/wp-content/uploads/2018/08/the1031investorLogo135x80.png Dave Foster2018-10-25 14:14:512018-10-25 14:14:51BRRRR? Register here for this October 18th webinar from 5:30 p.m. to 6:30 p.m. ET. Not sure what to make of all the buzz about 1031 Exchanges? Let me introduce you to this powerful section of the IRS tax code and walk you through its legality and benefits. Confused by what you have heard about all the requirements? Intimidated by the deadlines? I’ll help eliminate the fear factor with clear and concise information. Think this option doesn’t apply to you? I’ll provide 1031 exchange options for when the replacement property is identified first or requires renovation. Whether you have 50 properties or are new to real estate investing, I encourage you to join me for one hour and learn how 1031 Exchanges can accelerate your portfolio growth.